Welcome to the PMHS IB Program! IB Falcon Family Booster meeting tomorrow night (Thursday 5/28, 5:30pm, Media Center)!!! ALL CURRENT AND FUTURE IB PARENTS/STUDENTS ARE WELCOME TO ATTEND!!! Pre-IB at Pedro Menendez High School instruction consists of intensified courses in Grades 9 and 10 in English, Spanish, Science, and Mathematics in preparation for the rigorous college-level curriculum of the Grade 11-12 IB Diploma Program. 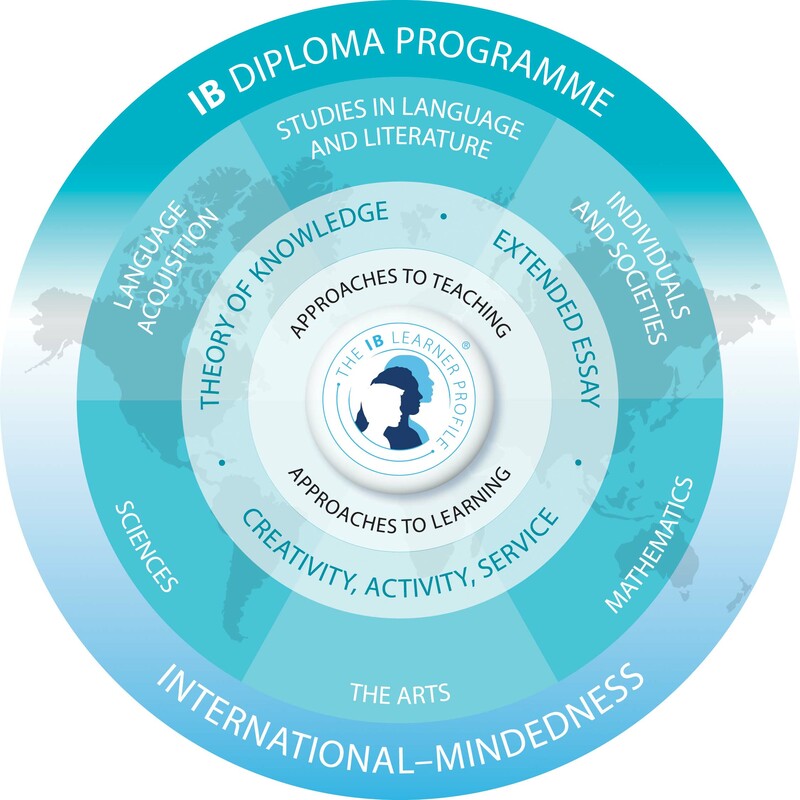 IB Diploma students study six courses at higher level or standard level. Students must choose one subject from each of groups 1 to 5, thus ensuring breadth of experience in Languages, Social Studies, the Experimental Sciences, and Mathematics. Students have a choice of a sixth subject at PMHS. This can either be Psychology, Visual Arts, or Dance. Please see the IB Four Year Plan here. In addition the program has three core requirements that are included to broaden the educational experience and challenge students to apply their knowledge and understanding. Students will participate in writing the Extended Essay, the Theory of Knowledge course, and complete CAS hours (Creativity, Activity, Service), including a personalized CAS project. Creativity, Activity, Service requires that students actively learn from the experience of doing real tasks beyond the classroom. Students can combine all three components or do activities related to each one of them separately. In addition, students are required to create and complete a CAS project of their own design. Please see the IB Course page at the right to view the subject briefs for each subject including TOK, EE, and CAS. More questions about IB, take a look at our IB Welcome Presentation here. 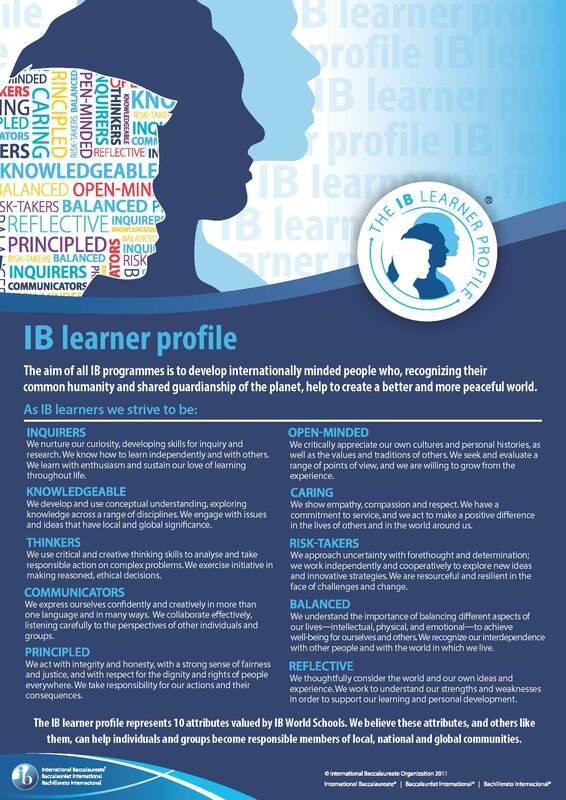 Check out the IB Learner Profile to see your place in IB here! Want to learn more about IB? Click here to visit the IB Programme homepage. Looking to get involved? Check the IB Boosters website for the most current information. Also, don’t forget to join the IB Falcon Family Boosters Facebook page. Pedro Menendez High School opened its doors to the International Baccalaureate Programme in the Fall of 2010. Our inaugural class had 17 full diploma students, and included study in English, History, Spanish, Biology, Mathematics, and Psychology. Since our first diploma candidate exams in 2011, we have grown to sustain over 69 full Diploma Candidates in 2018 (the largest class since the inception of IB at PMHS), offer two mathematics options (Calculus and Math Studies–Statistics), two spanish options (Spanish B and Spanish Ab. Initio), three science options (Biology, Physics, and Environmental Systems), and three group six options (Psychology, Visual Arts, and Dance). Many of our courses can now be taken either as SL or HL options, and all are compatible with the various Academy offerings at PMHS. In 2018 we experienced a Diploma recipient rate of 52%, yet tested our largest Diploma class yet. Our Diploma Programme candidates remain strong with an average of 28 points on their DP results, and have held steady at 4.43 for the average grade of DP candidates on exams. In addition, we had the most subject entries to date (706), with one of the largest certificate candidate registrations in recent years (200). The ability for our students to pursue both the Diploma Programme and the Certificate options sets us apart from other programs in the nation and world. Please see the links below for more information, important dates, and announcements!